Bug Out Bag V2 IS HERE! It's Version 2 and it's better than ever! Stronger construction. New carry handle. New, stronger material. 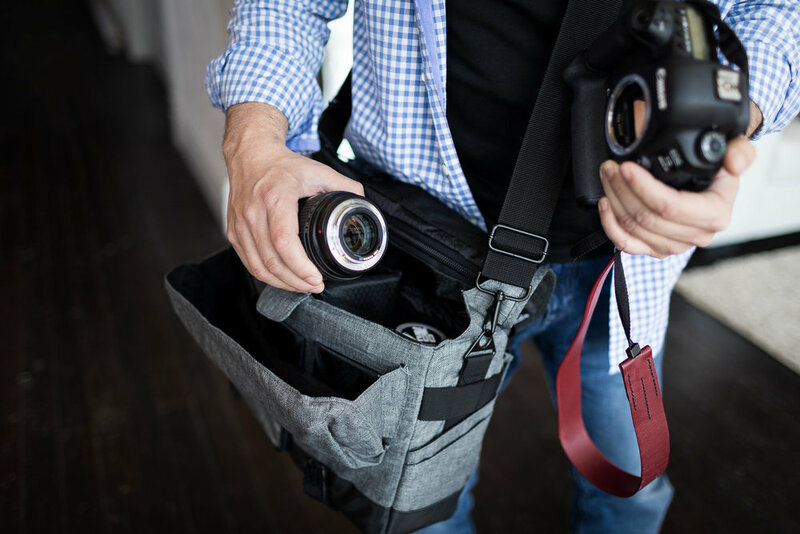 A new kind of camera shoulder bag. What is the bug out bag? 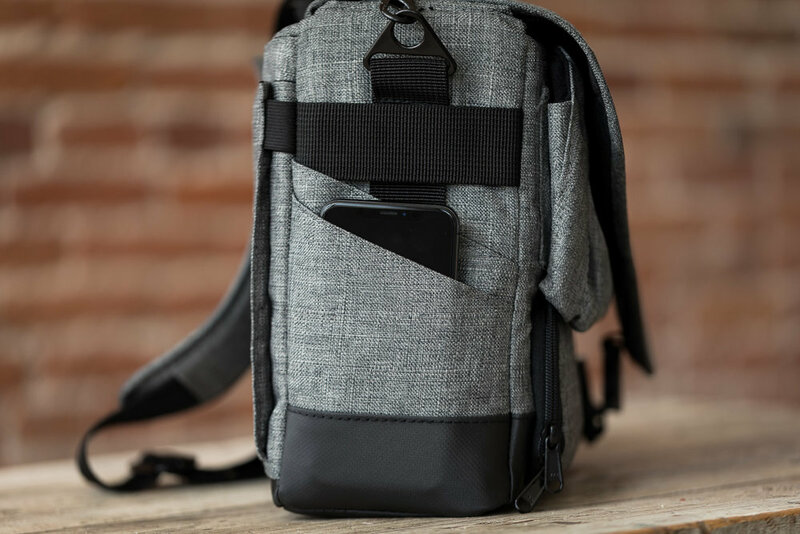 The Bug Out Bag from Salvatore is the last shoulder bag you will ever need. Designed by professional wedding and portrait photographer, Sal Cincotta. 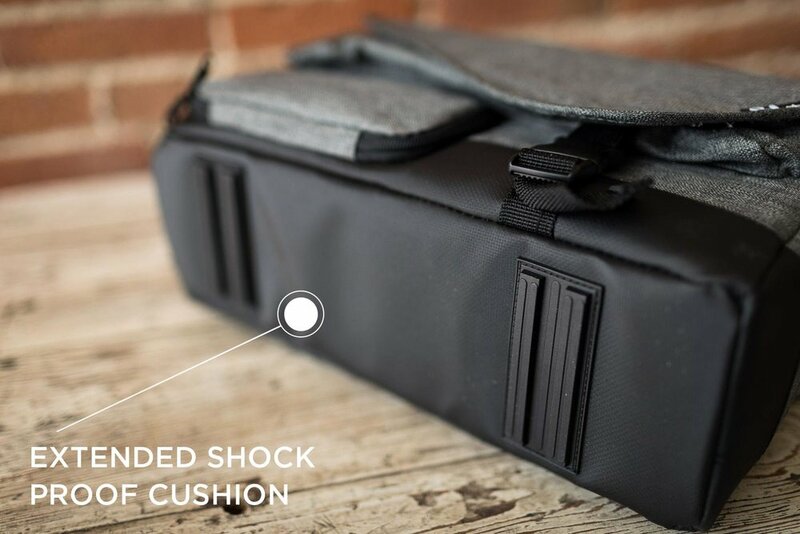 It has been designed to be a working field bag. 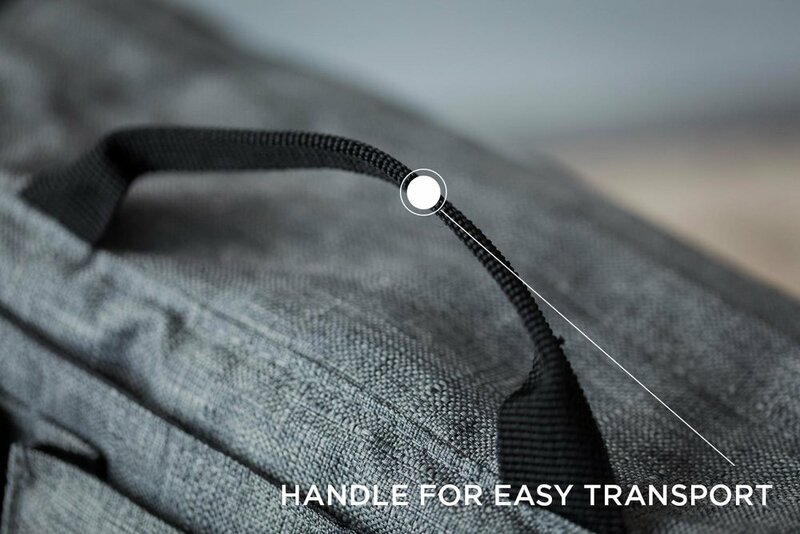 Meaning, your bag should make it easier for you to work and move around with your gear in the field. Take advantage of early-bird pricing. 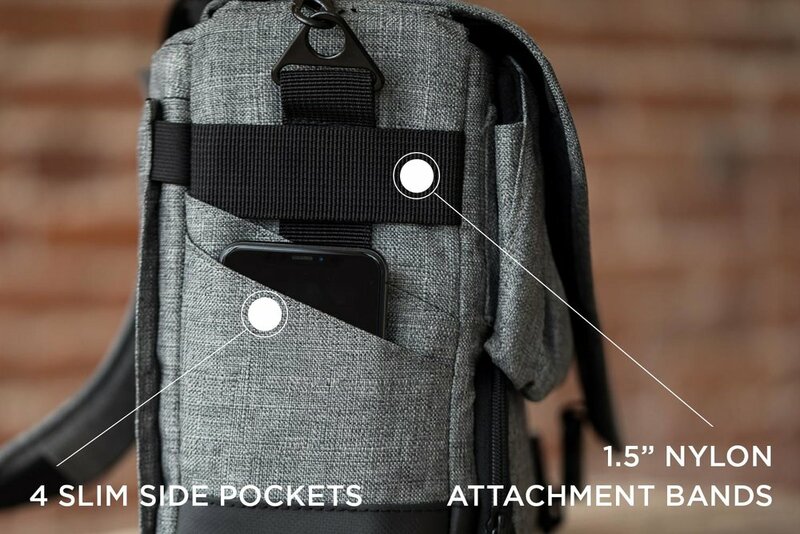 This bag will retail for $249 once the early-bird pricing is over. It WILL NOT be cheaper than the first round pricing. You are buying the actual bag. They are in stock and NOW SHIPPING. We are offering a VERY LIMITED run at the $199 price - so do not wait for a better deal. Once we hit our initial target, the bag will go up in price without notice. In the doomsday scenario or military world, the bug out bag is used to allow one to evacuate quickly with enough supplies to last 72 hours. Well, in the world of photography, we are adapting this to ensure you have everything you need to quickly grab and go. All your gear, including flashes, triggers, lenses and more. Grab your bag and go. From your house to the car. From the car to your shooting location or your bride’s hotel room. With the Bug Out Bag, you can have confidence that everything you need is within reach and in a single easy to use bag. 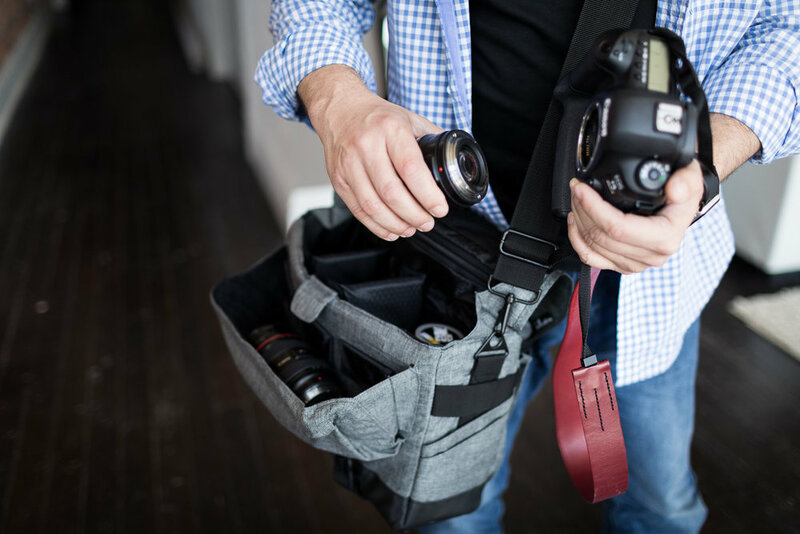 What makes this the best camera shoulder bag you will ever have? 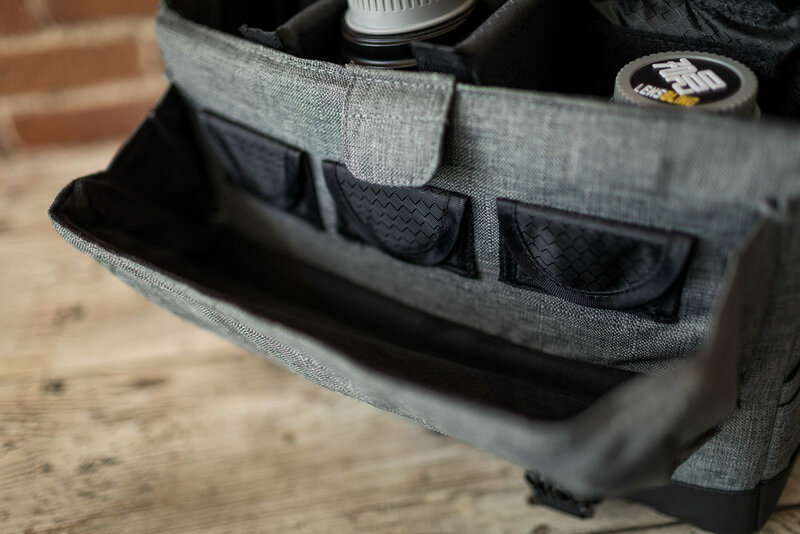 As an full-time wedding and portrait photographer, I needed a bag that met the demands of working in the field. The bag had to maximize the use of space. One day, while sitting on a plane, I took out a piece of paper and started sketching out what I would need in a bag. How could I get all the gear I needed in and out of my car and on-location quickly and efficiently? I was tired of always having to lug around a roller bag. More importantly, my body was tired. On that very plane ride, the Bug Out Bag was born. 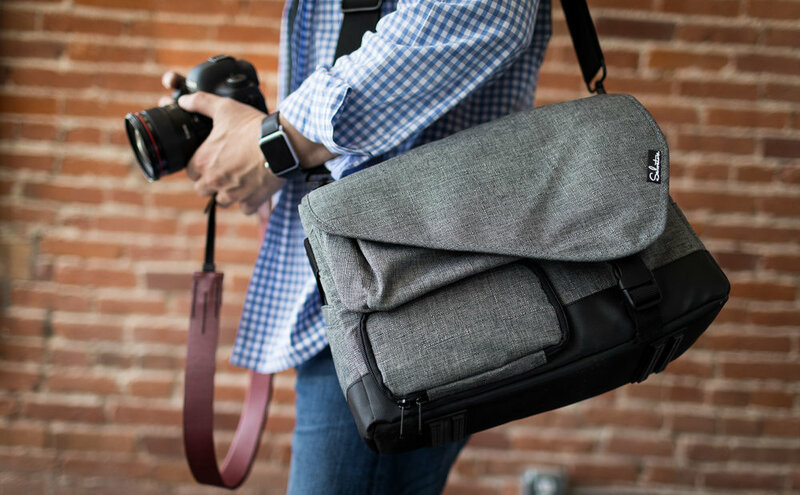 Whether you are a travel photographer, a portrait photographer or a wedding photographer, this bag gets the job done. It's lightweight, good-looking, and functional. NEW // bug out bag carry handle. What makes the Bug Out Bag so unique? We went the extra distance. With a weather resistant shell and a padded interior liner for additional protection. 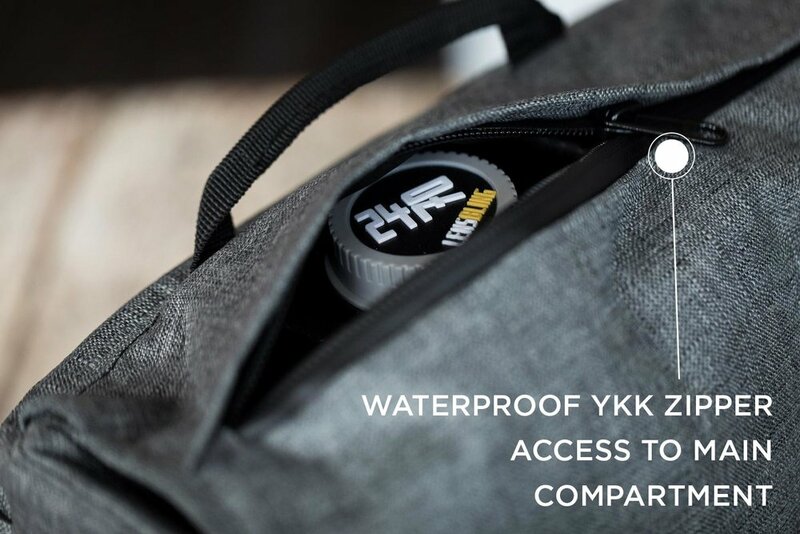 In addition, on the bottom, we used special 1200D nylon, plus PVC material with shockproof feet for even more protection - weather proof, wear resistant and easy to clean. There is no wasted space in this bag. 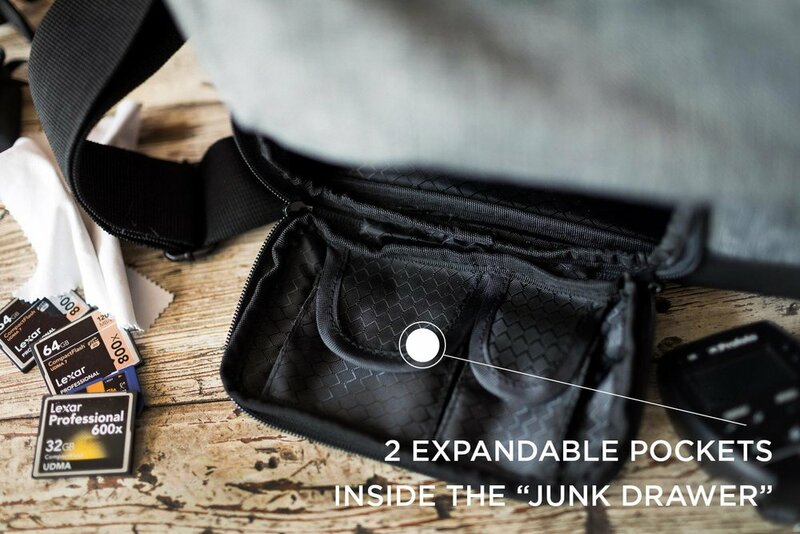 This bag is built to utilize every single inch of space. Most photographers have one long lens and several shorter ones. Most bags don’t accommodate this creating deep pockets creating a ton of wasted space. In this bag, we built a shelf allowing for 2 shorter lenses and 1 long lens - creating a drawer underneath for easy access to triggers, cords, and the rest of the junk we carry with us. Flash and battery pack holder. 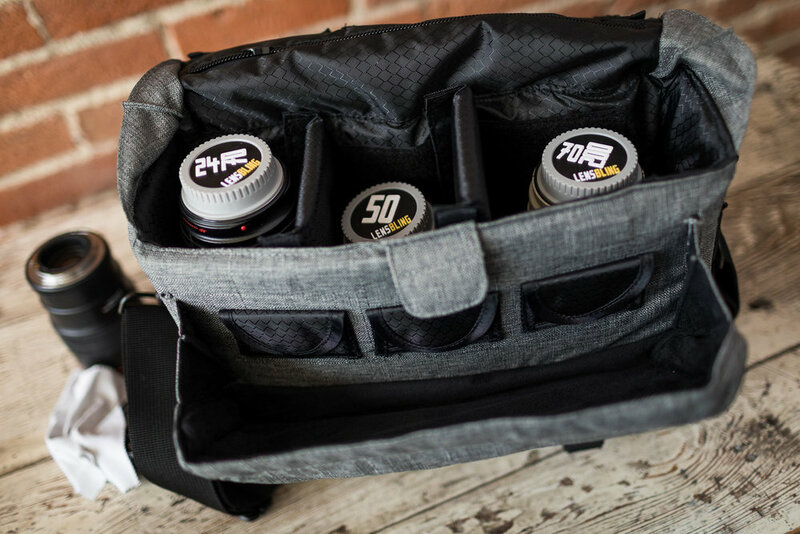 The bag is built for the active photographer. And as working photographers, We typically have flash and battery packs along with a host of other accessories. 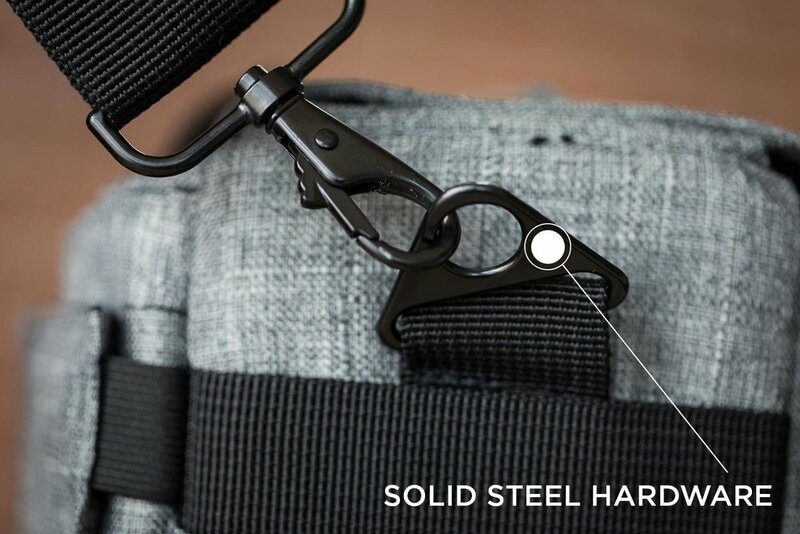 The 1.5in attachment bands allow the bag to be customized to your specific needs through the use of clips or standard clip hook D-Rings. 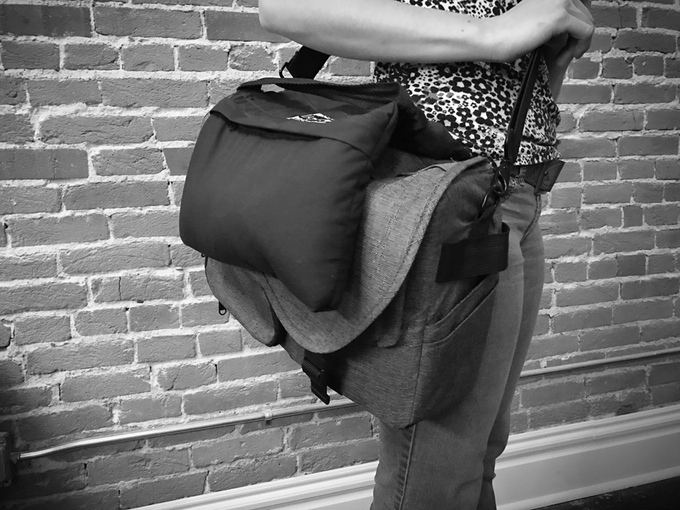 One of my favorite features, this bag is built to allow you to work in the field and acts like a second set of hands. There is nothing worse than killing one of your pockets to act as a lens changer or worse yet, putting your lenses on the ground, under your arm or any of the other insecure places you use to swap your 2k lens. The Lens-Swapper allows you to securely change your lens in real time. It becomes your extra set of hands and ensures you never lose or drop your expensive equipment. And no matter where you go - the bug out bag is ready to grab and go. lens swapper - securely swap your lenses. step 1 // open lens swapper and remove lens from camera. step 2 // place lens securely in the lens swapper pouch. step 3 // grab new lens from bag and attach to camera body. step 4 // remove lens from lens swapper and place securely back in bag. The bag is meant for the working professional. 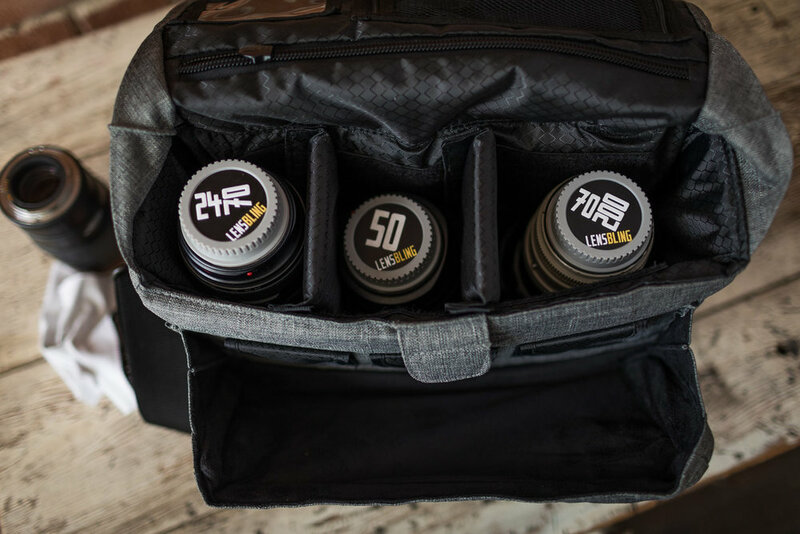 It is completely customizable and can support your lenses and DSLR camera. 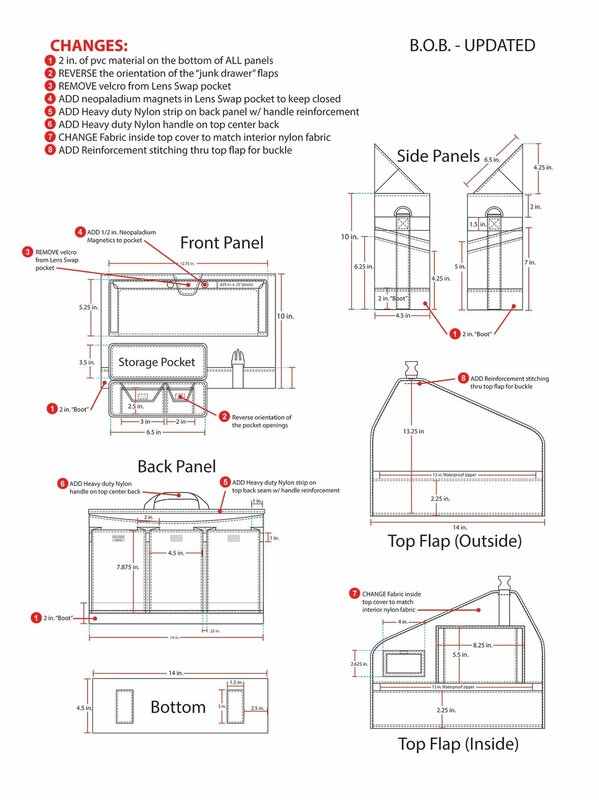 Using the movable and adjustable velcro dividers you can adjust to meet your own workflow needs. Another question that comes up - strength of the overall construction and how much weight it could hold. What will the bag retail for? The bag will retail for $249. Your best bet is to get in on the action early at this substantially discounted price. This $199 early-bird price will only go up from here. Can the bag hold a DSLR as well? See pics above. Yes. BUT the Bug Out Bag - EXT is a better option. What colors are available? Right now, the bag is only available in grey. We will be evaluating different color options in the future, but none are planned at the moment. What if I don't like the bag? We offer a 30 day money back guarantee. The bag has to be in unused condition with all the tags still on the bag. Are the bags shipping? Yes. The bags are in stock and shipping. Normal turn time is 2 business days plus ship time. Does the bag hold multiple camera bodies? 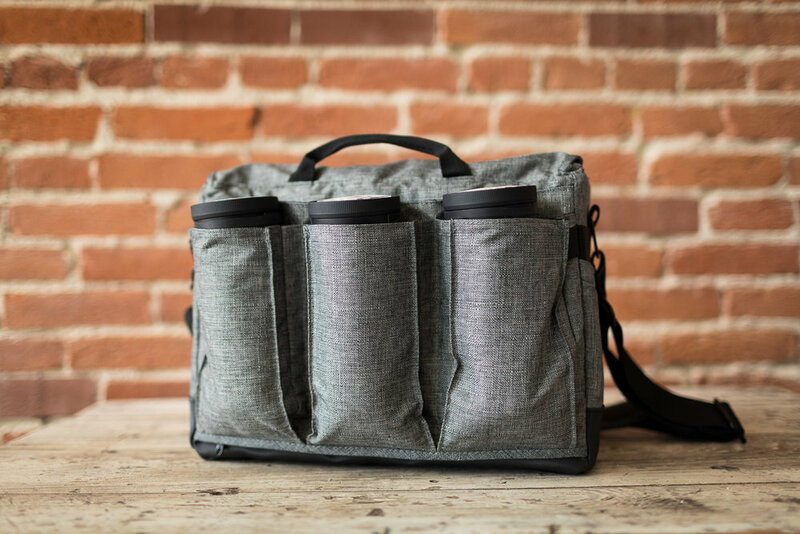 The bag is set up to be custom configured to the way you work. That being said, please realize, per the description above, this is NOT meant to be a travel bag. While it can certainly be used that way, this is a working photographers bag. It is meant to allow you to work on location and have access to the lenses and accessories you need to do your job quickly and efficiently. Looking for a larger bag that will hold your body? Check out the Bug Out Bag - EXT HERE.